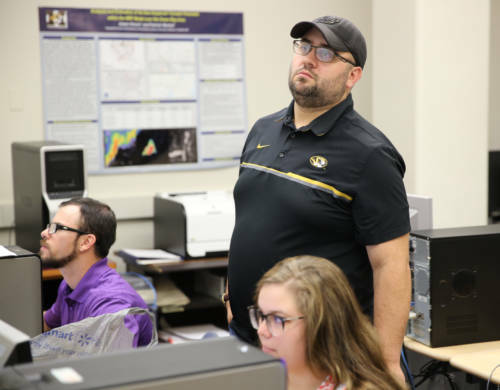 Each of the 12 students enrolled in Atmospheric Science 4710 are forecasting upcoming weather events weekly, as part of the MU Campus Weather Forecast. The tool has been used in the past and was revamped this year. Putting together a weather forecast is as much a science as an art form. The process begins with in-depth observations of past weather events, as well as taking a peek at what’s happening currently. Once that information has been collected and diagnosed, it is fed into weather models, which are used to help predict what will happen next. Pat Market, professor of atmospheric science in the School of Natural Resources, has two interns, a … Expand ▸Pat Market, professor of atmospheric science in the School of Natural Resources, has two interns, a master’s student and a teaching assistant, who is working on his doctorate, who are all part of the course. It’s been an opportunity for the entire atmospheric science program at MU to work together. 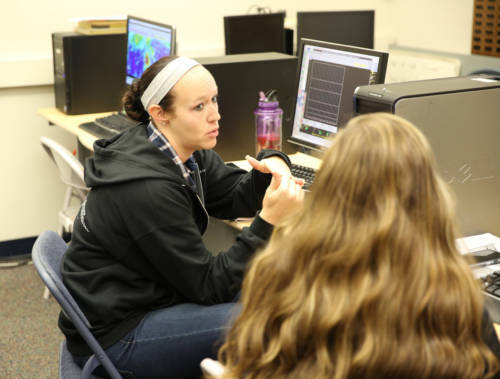 It’s an art form that students in Atmospheric Science 4710 are getting to learn first-hand. Each of the 12 students enrolled in the class are forecasting upcoming weather events weekly, as part of the MU Campus Weather Forecast. The tool has been used in the past and was revamped this year. There has been a unique component to this semester’s course as well. Market has two interns, a master’s student and a teaching assistant, who is working on his doctorate, who are all part of the course. It’s been an opportunity for the entire atmospheric science program at MU to work together. “It’s difficult to get an internship in the realm of atmospheric science,” Market said. “There are only three television stations nearby. The closest weather service office is a two-hour drive. There are very few private firms – the closest of which isn’t in the state. It’s tough to find an opportunity. Adam Hirsch, an atmospheric science doctoral student in the School of Natural Resources, is serving … Expand ▸Adam Hirsch, an atmospheric science doctoral student in the School of Natural Resources, is serving as the teaching assistant for the course. 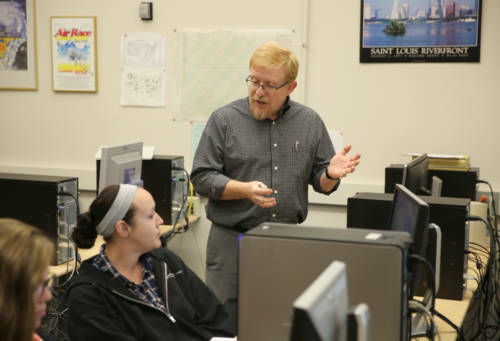 The class is serving as his doctoral research – although the research has nothing to do with actual forecasting. Hirsch is documenting the growth of the forecaster within the classroom. Adam Hirsch, an atmospheric science doctoral student in the School of Natural Resources, is serving as the teaching assistant for the course. The class is serving as his doctoral research – although the research has nothing to do with actual forecasting. Hirsch is documenting the growth of the forecaster within the classroom. Hirsch said that the education side of meteorology obviously exists, but can seem a little disjointed. It is also growing in popularity. His doctorate research will be vital to showcasing what works and what doesn’t in the classroom. Jon Bongard is the master’s student lending his expertise to the course. Market said Bongard, an atmospheric science master’s student in the School of Natural Resources, has a gift when it comes to forecasting. 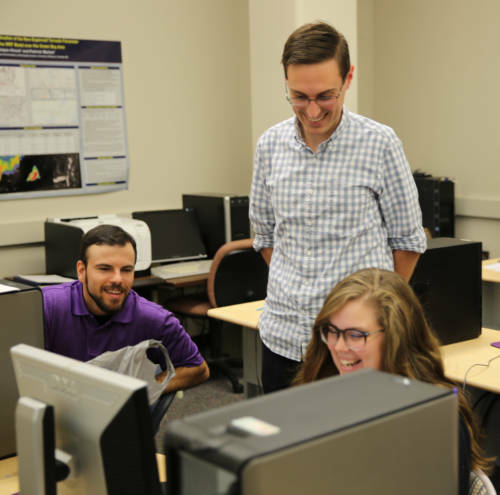 Bongard gravitated toward forecasting as he started to learn about the available options for those with an atmospheric science degree. “Forecasting is never routine,” Bongard said. “I learn something new every day. The atmosphere is a fickle monster. It throws something new at you every day. It’s a cool challenge to try to figure it all out. Jon Bongard is the graduate student lending his expertise to the course. Market said Bongard, an … Expand ▸Jon Bongard is the graduate student lending his expertise to the course. Market said Bongard, an atmospheric science master’s student in the School of Natural Resources, has a gift when it comes to forecasting. Bongard is working with Neil Fox, a professor of atmospheric science, for his master’s work. The research centers on studying evaporation. They are using a radar-based system, as well weather balloons, to quantify the evaporation of the rain as it falls from the cloud. They’re looking at what happens before it hits the surface. Bongard’s work, and the course as a whole, showcases how closely the three professors in atmospheric science – Market, Fox and Tony Lupo – work together. “That trio all bring something different to the table,” Bongard said. “Dr. Market is the synoptician, Dr. Fox is the radar guru, and Dr. Lupo is a math wizard. All of those powers combined make a perfect meteorologist. Paula Sumrall, a senior in atmospheric science, was one of two students to earn the internship this … Expand ▸Paula Sumrall, a senior in atmospheric science, was one of two students to earn the internship this semester. The students in the course are at the beginning stages of forecasting. Sumrall is helping guide the students along, as she has participated in the course before. Paula Sumrall and Caleb Brown, both seniors in atmospheric science, earned the internship this semester. The students in the course are at the beginning stages of forecasting. Sumrall and Brown are helping guide the students along, as both have participated in the course before. Sumrall added that the course is incredibly important in terms of offering a deeper look at a possible job opportunity in atmospheric science. It’s common for many atmospheric science students to have had a passion for the weather since childhood – with a big draw being storm chasing or live broadcasting. Sumrall said it’s important to get the full experience.